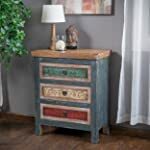 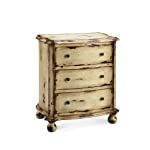 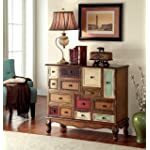 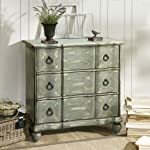 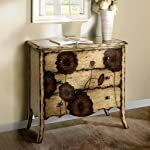 Unique character combined with classic design make this reclaimed vintage inspired storage chest a fine addition to any home décor. 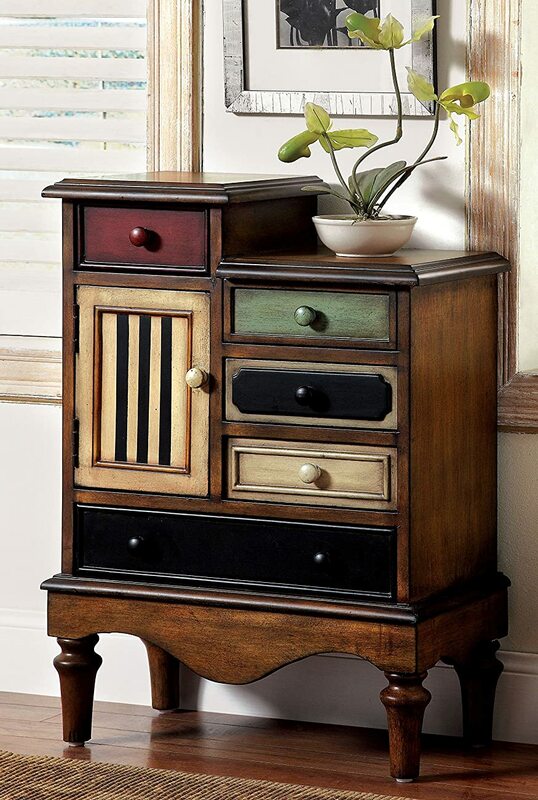 This piece showcases a robust wooden make for long-lasting quality. 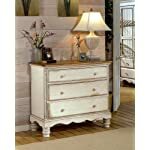 Its classic profile is made current with the interesting drawer fronts of various colors and patterns. 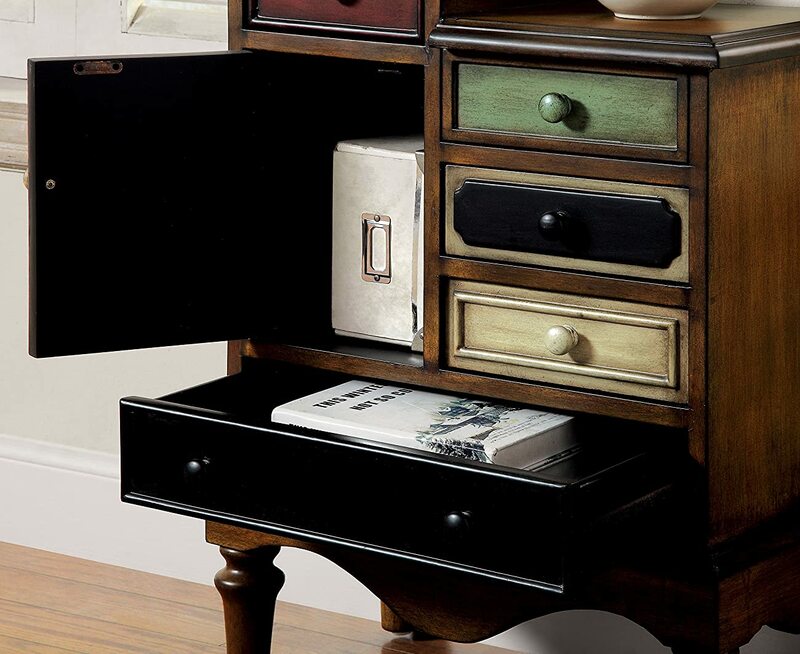 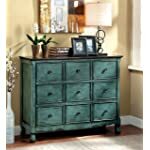 Numerous drawers and a compact cabinet offer ample room to store and organize a variety of items. 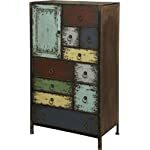 Finished in Antique Walnut for a natural appeal. 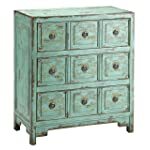 Made in China, assembly required. 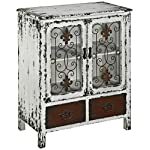 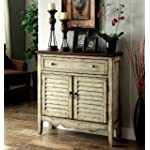 Overall product dimensions: 30.25"H x 22"W x 11.75"D. All décor items not included in this offer unless specified.